Apologies for the real sheer lack of posts these past two weeks or so; I’ve not necessarily been overwhelmingly busy but I sort of lost my head when it came to organisation which meant I really haven’t been giving much time to many projects. But – I’m officially off work now for the Christmas season with 101 new posts about to be blasted your way before the New Year – including reflections, round ups, and tons more. 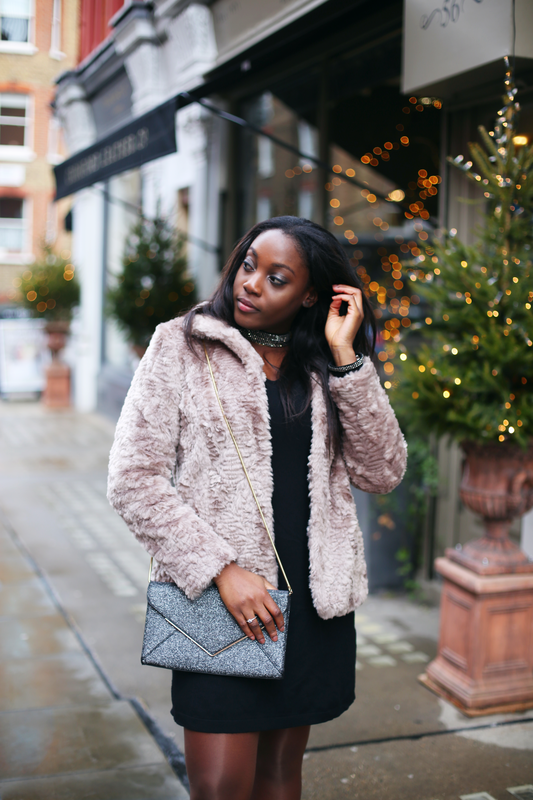 I wanted to start of by sharing a recent trip to the Jingle Bell Ball with the team from Debenhams and a few other lovely bloggers – we truly received the full VIP treatment! I’m not much of a concert goer usually, just as I find it hard sometimes to justify splashing out cash on an artist if it isn’t Drake, Beyonce, or someone in that realm (ya know, first world problems). Saying that, even when I do go to concerts I usually end up in a squished crowd amongst a million sweaty people so far away from the stage that I question whether or not I should have brought my glasses. This year I saw Drake at the o2 and also went to Wireless where The Weekend headlined – but none of those were really VIP experiences like this year’s Jingle Bell Ball. When the e-mail popped up in my inbox from Debenhams saying ‘You Shall’ go to the ball, along with a link to their party dresses for me to take my pick – well, who was I to disagree?! I ended up picking this embellished choker neck dress from the website (on Cyber Monday might I add, where it always feels like a war when you’re shopping), but then I also decided to pick up this coat, the heels (pretty good Valentino dupes), and the bag. What isn’t pictured here is that I also picked up some gloves and a soap holder (random, I know) from Debenhams too. So when I say head to toe Debenhams – I really mean it; we were totally spoiled for choice. On the night itself we had our own VIP box with a buffet and free drinks, and saw performances from Rita Ora, James Arthur, Yungen, Dua Lipa and Craig David to name a few. Craig David was definitely my favourite just because I am a fan of a good old school banger. On the night we were asked on the Debenhams Instagram story what our top tips would be when shopping for a party outfit and mine was not to be afraid to show off your best features. For example – but I like my legs, this means that you’ll almost never find me wearing a long dress/skirt. If you want to show off a cheeky bit of cleavage – go for it. Dress in a way that complements you and makes you feel confident. Big thank you to Debenhams for lovely night – guise, check out their website (and stores), they have such a variety and I can assure you you’ll probably end up binging like I did. The philosophy behind how I dress is to not be afraid of showing off your best features – what’s the philosophy behind how you dress? 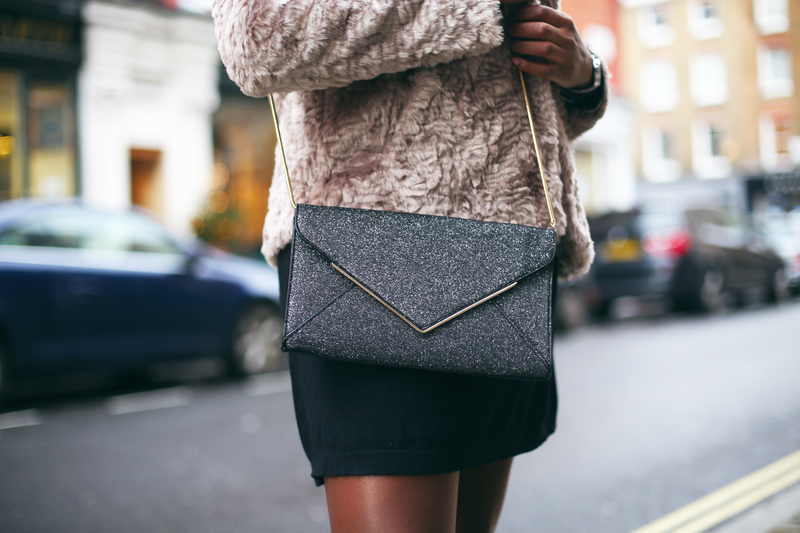 *This post is in collaboration with Debenhams – but all opinions are of course my own. 4 Responses to "The VIP Treatment with Debenhams"
Love that outfit and those shoes are simply stunning!